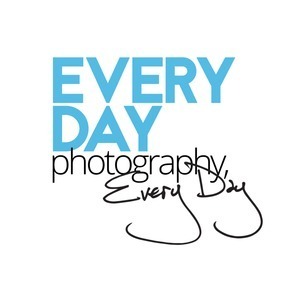 65 episodes of Everyday Photography, Every Day since the first episode, which aired on 24 September 2018. Where we talk about scale, and the power in size to communicate, in addition to an image. Bryant uses his photographs to connect, with nature and himself. In which Suzanne and I look at themes running through our last four episodes (Russell Brown, Doug Menuez, Kris Sanford and Nigel Barker). After 17 seasons co-hosting America's Next Top Model, Nigel Barker is one of the most famous and recognizable photographers today. He has a wealth of great stories, inspiration, and experience to share! Kris describes her work as exploring "intimate relationships, specifically queer desire, through the use of appropriated images, video, and text." But she's also a teacher of young photographers and her insights there are fascinating! 59: Meet Doug Menuez, Photojournalist and Creator of "Fearless Genius"
Doug Menuez is perhaps best known as the key documentarian of the '80s Silicon Valley, and particularly his work with Steve Jobs. His work is empathic and beautiful; he's balanced a career in both commercial and fine art. Our first guest is the ever-wacky Russell Brown, a super senior creative person at Adobe, and perhaps more interestingly, one of the founding team of Photoshop along with the Knoll Brothers. His observations about photography, Instagram, photo manipulation are fantastic. A joy! In which we take a walk through the now-archaic process of silver printing, traditional darkroom work, and what can be gleaned from this background. You're not a journalist covering your vacation, so you might want to relax a little when you're taking pictures on your trip. Pick a few moments to "cover". We also discuss the pros and cons of anonymous subjects in your pictures. 53: The Fifty... and "Visual Osmosis"
You do not need to learn any stupid rules of composition. You need to look at these 50 images, really look, and you will learn composition -- your photos will be better immediately. Starting from the "document" side of photography, and moving into the poetic. It's all about your composition. It's the only thing you have to practice. And it's free and easy. Professionals can deliver the goods. So when are those moments when it's worth getting a pro versus just handling a picture yourself? And how do you even hire a pro? Everyday Photography, Every Day is © 2019 by Neomodern, Inc.